Get results for your products without the hassle of writing ads! Shopping Campaigns allow you to promote your products by providing users with details about what you have to offer. These ads work great for e-commerce companies, and best of all – they are automatically generated using a data feed. In this blog post, you will get some great tips and tricks for making your shopping campaign a success. The Merchant Center is where all the magic happens. This is where your product data feeds live (a list of all the products that are being sold). This list must be in a special format required by Google, with attributes that describe the products, such as: ID, title, description, product category, product type, product URL, availability status and price. Shopping campaigns don’t use targeted keywords to determine relevancy. Rather, to see if your products are relevant to a search query, Google gathers data from your product titles and descriptions – so make sure these are keyword-rich, but also appealing to potential buyers. Tip: You can still add negative keywords to cut unwanted traffic. Prices need to be 100% accurate, otherwise products will not be shown. If multiple countries are being targeted, you’ll need a product data feed per country. Shopping Campaigns are country-specific, so a new campaign needs to be set up per sales country. Make sure your product images are high-quality! Use original pictures with no watermarks – the images should be only of the product you are selling using a white background. Make sure all destination URLs lead to live pages and not 404s/dead pages. Tip: Consider starting with a small product data feed and with some high-margin products. If you have a small product data feed, create just one ad group. If you have a larger product data feed, split Ad Groups by brand or category. After organizing your Ad Groups, you’re ready to start thinking about bidding on product ads. Shopping Campaign bidding works completely differently from search campaigns. There are no keywords, so what do you bid on? You can set the bid on the actual products that you are selling – this gives you a huge amount of control. 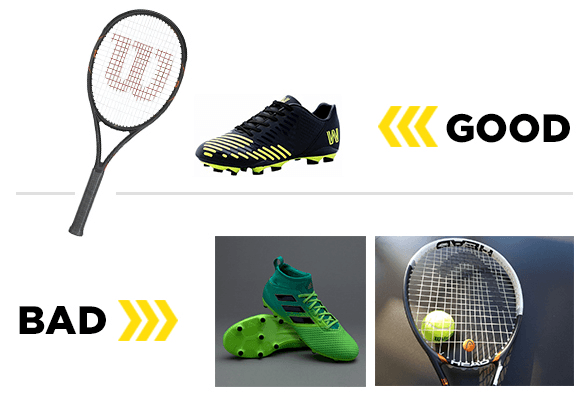 You can either set the bid on individual products or groups of products. Picture all the stuff you are selling in one giant bin – this is what Google calls the “All Products” product group. You can set a bid on this product group, and then ads for all products in that bin would get the same bid. Since products have different profit margins and different levels of competition, you’ll want to set your bids based on those factors. Google allows you to take all the products in that one product group and split them into smaller product groups to bid on. If those smaller groups aren’t granular enough, you can make even smaller groups. To create these product groups, use the attributes you set in your product feed to segment products. Every time you segment a product group, you end up with an “Everything Else” group. Google does this automatically as a catch-all for the products that don’t fit in the product groups you define. Hint: The key to best organizing your product groups is ROI! How much can you afford to spend on an ad for a specific product? If you have a small data feed (under 200 products), it’s best to get down to the item ID so you can set bids on a product by product level. Try first segmenting by brand or category, and then segment by product ID. Tip: Use your website’s navigation to dictate your first level of segmentation. You already have your products organized in some way – reproduce that organization within your product groups. If you have a larger data feed, where managing bids at a product level is unrealistic, segment by similar products for which the profit margins are similar – this could be by brand, category or product type. The way you organize your product groups has no bearing on whether Google considers your product relevant to a search query. Product groups are strictly used to set bids. Tip: As your shopping campaign matures, consider separating your “Best Sellers” into their own campaign or ad group – this will help you keep a closer eye on the products that are making you the most money! Bids should be set lower than they are for the search network. Watch them as you start to accumulate data – tweaking a bid can have an immediate effect on the performance. Set lower bids on “Everything Else” product groups than on specific named groups – this will help ensure that most traffic is sent to the specific products. Use geographic bid modifiers to bid up in high-traffic/high-value regions and vice versa. The Search Impression Share metric gives great insights into how much growth potential you have. 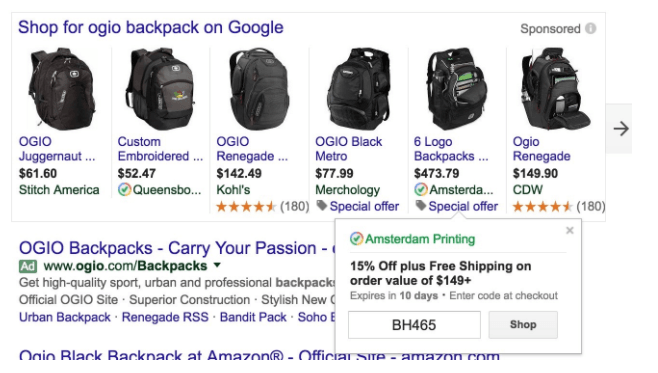 Keep an eye on this to see how you’re doing compared to everyone else selling similar products!A final piece of advice: Google lets you add promotional text to your shopping ad. Your promotions could be something like “Free Shipping” or “15% Off” or seasonal like “Summer Clearance! 25% Off!”. Make sure these promotions are relevant and match those offered on your website, otherwise your ads will be disapproved! You are now all set to start your first Shopping Campaign. Good luck and happy shopping!